Sevilla are back in the picture for Champions League football next term as they’ve taken advantage of fourth-placed Getafe dropping points in recent weeks. They had their own wobbly period as they lost six out of eight games in the early part of 2019, before Pablo Machin was given the boot, but they’re now on a run of four wins from five matches as only an impressive Valencia outfit could down them 1-0. Home advantage should certainly prove key here, as only Barcelona and the two big Madrid sides have a better track record in front of their own fans this term. Meanwhile, Real Betis are just W3-D4-L6 since early February in all tournaments, losing four of the last seven, while on the road alone they’re W2-D4-L5 in 2019 to date as their only victories came over bottom-six outfits Real Valladolid and Celta Vigo. In fact, they’ve lost four of their last five league trips to top-half sides and Sevilla should be aiming for maximum points. 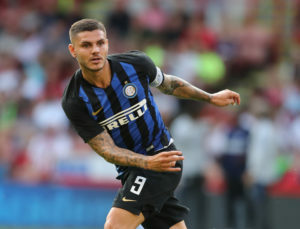 The Mauro Icardi saga threatened to derail Inter’s entire season, but a win in the Derby della Madonnina last month has handed them fresh impetus, allowing them to reclaim third in the table, and they should encounter few problems seeing off second-from-bottom Frosinone. Icardi may yet depart this summer, or possibly stay amid a toxic atmosphere next season, but for now the Nerazzurri are pushing in one direction. Frosinone have actually won their last two outings to provide a slither of hope in their battle against the drop, though these came over Parma and Fiorentina sides that have packed up for the summer holidays already. They remain seven points adrift of Bologna in the last safe spot, while they have a tough run-in with Napoli and Milan still to come after this fixture. That doesn’t bode well as they’ve lost eight of nine winless encounters with the top six this term, failing to score in eight of these too, while four of the defeats saw them absolutely humiliated by 4-0 or 5-0 scorelines. Lille have been the ‘best of the rest’ behind the Parisians this term and are a tough side to break down with by far the best defensive record when excluding Thomas Tuchel’s outfit. They haven’t trailed at the break in 17 games now, conceding just the solitary first half strike, as nine of these games were goalless at the half-time whistle including seven of the last eight. That was also the case in the reverse fixture back in November, though they still went on to lose and in fact, the visitors have won 11 of their 13 head-to-head encounters across all competitions since May 2014. PSG’s defeat at our hands in the Champions League is nothing new for them as they’ve consistently faltered in the knockout stages in Europe, and it clearly hasn’t affected them as they’ve won eight of their last nine unbeaten league matches, while they’ve netted 20 goals in their last seven. That should enable them to outgun Lille, who have only netted more than once in just one of their last seven fixtures.